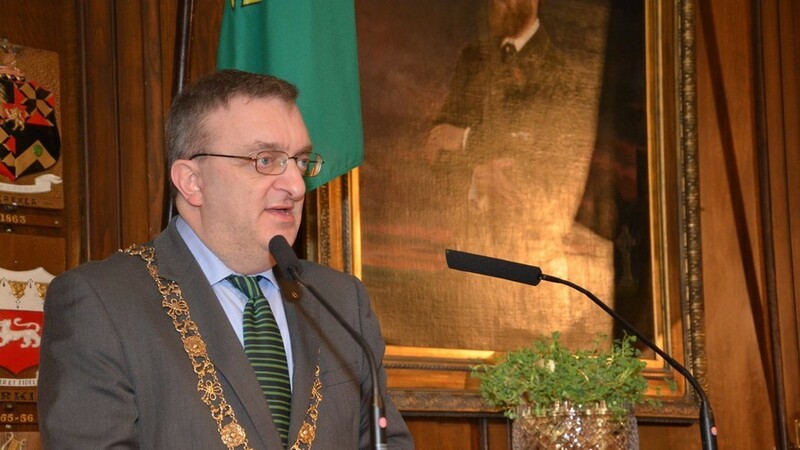 Israel learned its efforts to ban the Dublin mayor from entering the country over his support for the pro-Palestinian BDS movement had failed – after the mayor tweeted to tell them he was already in Ramallah. Dublin City Council voted this week to endorse the Boycott Divestment and Sanctions movement, a global campaign to end Israel’s occupation of Palestinian land through the boycott of Israeli goods and services, the divestment of funds and, in theory, sanctions. This prompted Israeli Interior Minister Arye Deri to announce he would bar Mayor Mícheál Mac Donncha from entering Israel. Mac Donncha was planning to attend a conference in Ramallah in the West Bank, after being invited by the Palestinian Authority. Not long after Deri made this threat, Mac Donncha tweeted he was already in Ramallah. “The Lord Mayor travelled via Frankfurt and Tel Aviv Airports and encountered no difficulties during his journey.” a spokesperson told RT. It has since emerged that Mac Donncha was able to slip past Israel’s notoriously tight airport security thanks to a simple spelling mistake. According to Yedioth Aharonoth, authorities are looking for a way to expel him. A source from the Population and Immigration Authority blamed the Ministry of Strategic Affairs for the mix up. The ministry has been dubbed Israel’s “anti-BDS start-up” due to its focus on countering BDS efforts. Israel’s barring of those who protest against its policies also saw the Irish Palestinian Solidarity Movement placed on a list of 20 organizations banned from the country.